Comforting cushioned flannelette encompasses this chic bed. Admire the glamorous wing-back headboard as glimmering acrylic button tufts and a framing nailhead trim dazzle your senses. 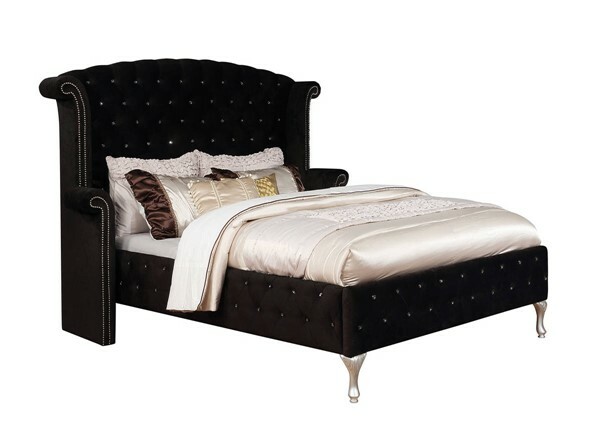 Cabriole feet add a well polished finished as they provide unwavering support to this elegant bedroom bed.